The fandom continues to show strong growth on the last weekend of August 2018. A weekend in which 5 furry conventions took place: Fur Affinity: United, Eurofurence, Camp Feral!, Indyfurcon, and DenFur. Of them the inaugural gathering in the state of Colorado has turned heads as it had shattered the first year attendance record of a furry convention at 2,086. Update 6/29: Story indicated previous record holder was Biggest Little Fur Con, was corrected to be FurryPinas. -Cirrus credited for correction. Camp Feral! 2013 - the biggest yet! The 16th annual Camp Feral!, a furry summer camp founded in 1998, was just held with the biggest attendance to date. With 135 campers, Feral! surpassed its 2006 record of 132. A double-header of Uncle Kage and 2 The Ranting Gryphon draw record crowds. More than two-thirds of attendees registered as Sponsor or Patron, with a record number of Patrons (29). Camp Feral! was the last group to eat in the Main Lodge, a rustic building erected in 1934 that has been the focal point of the camp site since its founding. In 2012, Feral! was last to use the Rec Hall stage before it was torn down to make way for a floor hockey space. The dates for 2014 are Thursday, August 21st to Monday, August 25th. The theme will be 'Algonquinos.' 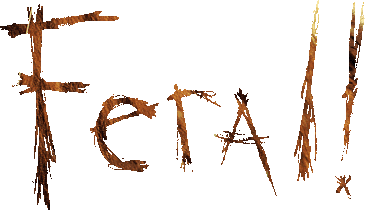 Typical of Feral!, the theme will be a bizarre mashup of all things high fantasy – from Lord of the Rings to Game of Thrones – with a uniquely 'Feral' twist. Camp Feral!, the world's oldest ongoing outdoor furry convention, wants to show furs what it's like to attend from the comfort of their homes. Since the camp is a visual experience, as opposed to a hotel con which can be promoted easily with only a schedule and a theme, Feral! is giving people the opportunity to experience camp without having to attend...in the hopes that, in the future, maybe more furs will! Camp Feral! 2008 Registration is Open! Camp Feral! is a furry summer camp run in the Canadian wilderness of Algonquin Provincial Park at rustic Camp Arowhon! 2008 will be it's 11th year offering workshops, activities and avents for an all inclusive registration. The ultimate furry summer escape, it offers water activities on Tee Pee Lake, traditional summer camp activities such as archery and wall climbling, as well as furry-centric workshops and events! Essentially...furries take over a summer camp for a week...and the counsellors love every minute of it! CAMP FERAL IS LOOKING FOR A VOLUNTEER TO JOIN THE CAMP FERAL! STAFF! Camp Feral! is currently searching for a motivated individual to join our staff as an assistant web developer. This position is intended to be the first step to taking over all of our web development, so a person who is interested in joining for the long term is especially appreciated! -	either a previous camper, or someone with a good understanding of Camp Feral! -	The spare time required to take-on such a position!!! We are looking to update and improve our website over the course of 2008 leading up to our event in late August. A resume is appreciated, otherwise an email that links to examples of your work, as well as listing your experience alongside any related employment or education. Camp Feral! 2007 Registration is OPEN!!! Heya Campers! That's right! The registration for Camp Feral! 2007 is now open! This year we are returning to Camp Arowhon in beautiful Algonquin Park just north of Toronto, Ontario, Canada! The dates for the camp are August 27th to 31st, bookended by two weekends which will have pre and post Feral! events in the Toronto area!!! www.campferal.org...or read on for more details! Camp Feral! 2006 - Sept 2 - 6, Algonquin Park, Ontario! It's official! Camp Feral! is returning to beautiful Camp Arowhon in Algonquin Provincial Park, September 2 - 6, 2006, for it's eighth exciting year! Still one of the furry community's most unique events, Camp Feral! offers adventures in the water (kayaking, sailing, windsurfing, swimming, canoeing, diving...), on land (archery, wall climbing, basketball, volleyball...) and some traditional events and games you won't find quite like this anywhere else! Try your hands at the Predator Vs. Prey game, play our modified Capture the Flag, or take part in the Clan versus Clan team challenge! Workshops, special guests, fresh air and the great Canadian wilderness. Join the Tribe in 2006! Feral! 2005: The Best Yet!! Heya furs! Feral! 2005 was by far the most successful and exciting yet, breaking our registration records and fulfilling everything we had hoped for, continuing its status as one of the funnest and most unique furry events in the world! - The T-Shirt art is up on the site, designed by Anklebones and Wormwood! - The Feral! Comic is starting out! - Conbook and Art Print submissions are being accepted! And go to the website at www.campferal.org for more information! JOIN THE TRIBE in 2005! Feral!, furry fandom's premier summer camp, is returning to Camp Arowhon after a successful year in 2004! Entering its 8th year, Feral! is excited to announce the dates for next year: August 27th to 31st. Also, the first Guest of Honour has been announced, and it will be 2, The Ranting Gryphon! Four Months To Camp Feral! Wow! It's only four months to Feral! 2004, furry fandom's premiere summer escape. This year's camp will be the best yet, taking place in beautiful Algonquin Park at rustic Camp Arowhon, the site of the first Feral in 1998! Our Guests of Honour, Aethan and Iyu, are hyped about coming to Ontario, as are our returning past Guest of Honour- J. Willard, the newest member of the Toronto Furry community- the artist Grimal, and the man with the comics- Sean Rabbitt of Rabbit Valley Comics! Feral!, furry fandom's premier summer retreat, is only seven months away! Here's your chance to spend a weekend with other furs relaxing by a lake in the great outdoors of Ontario's Algonquin Park. We are returning to the site of our first Feral!, Camp Arowhon! Entering it's seventh year, Feral is one of the fandom's most unique gatherings, and this year our Guests of Honour are Andrew "Aethan" French and Steven "Iyu" Domanski, co-creators of Circles Take part in workshops, try your hand at archery or windsurfing, survive the traditional Predator versus Prey game, and expect many surprises.